YOU WON'T FIND A TAHOE IN BETTER CONDITION ANYWHERE! BRAND NEW STRUTS, CONTROL ARMS, BALL JOINTS, AND BEARINGS FOR DIFFERENTIAL. OUR SERVICE DEPARTMENT JUST PERFORMED OVER $2000 IN SERVICE WORK! Loaded LTZ with navigation, heated/ventilated leather seats, power sun roof, back-up camera, blind zone alert warning system, running boards, second row bucket seats, DVD rear entertainment system, remote start, 20-inch chrome LTZ wheels, power liftgate, BOSE Premium Audio System, Bluetooth, memory seating, Satellite radio, automatic climate control, tow package, rear parking sensors, heated mirrors, OnStar road gripping 4wd traction and a 5.3L V8 engine. WOW!! 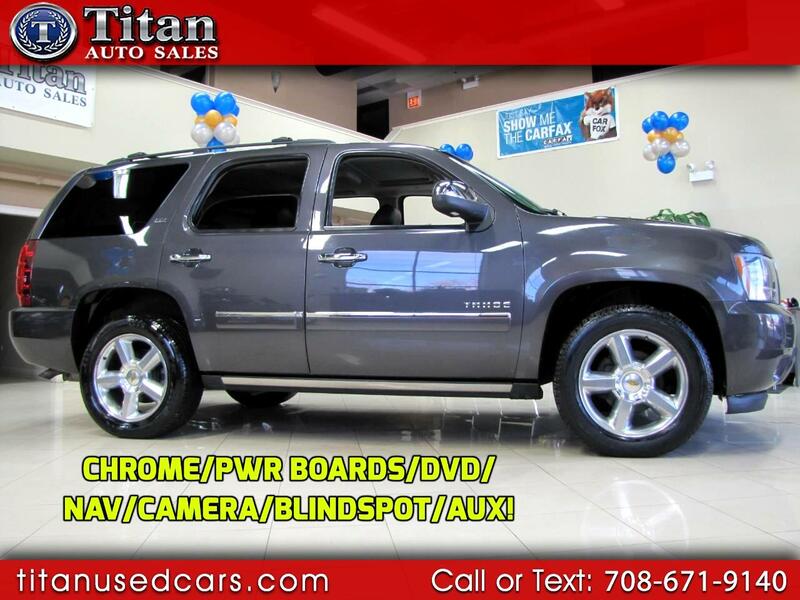 Super value on this outstanding SUV!! Titan Auto has 25 full size SUV's in stock. Come check us out. Our quality, prices and reputation can't be beat. Check out our hundreds of positive google reviews.